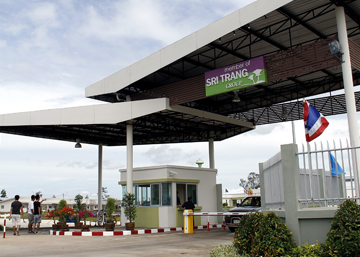 Established in 1987, Sri Trang Agro-Industry Public Company Limited (STA) is the world’s leading fully integrated natural rubber company with a market share of 10% of global natural rubber consumption and 8% of global glove consumption. STA’s operations span all sectors of the natural rubber industry, from rubber plantations and rubber processing to glove production. In the upstream, we own approximately 7,500 hectares of rubber plantations that are located in 19 provinces of Thailand. In the midstream, our 36 processing facilities are located in Thailand and Indonesia, the world’s two largest natural rubber-producing countries, as well as in Myanmar, a country with strong potential for rubber production. Together they produce a complete range of natural rubber products, from Technically Specified Rubber (TSR) and Ribbed Smoked Sheets (RSS) to Concentrated Latex and have a total production capacity of 2.86 million tons per annum. Additionally, we have various subsidiaries that provide operational support for our core businesses, from research and development to logistics to rubberwood processing. STA is the first and the only Thai rubber company that is dually listed on both the Stock Exchange of Thailand (SET) and the Singapore Exchange (SGX). As the world’s largest fully integrated producer and distributor of natural rubber, STA is committed to growing in lockstep with the economic development of the local communities and of Thailand.